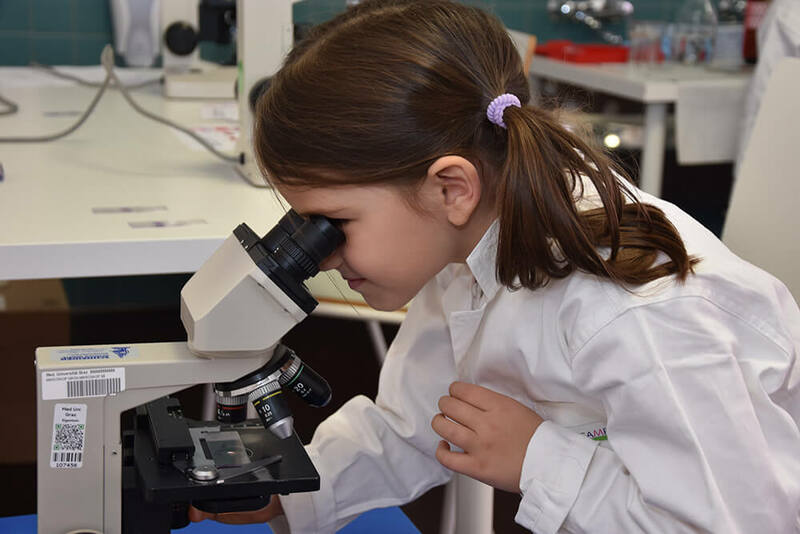 Together with the Austrian Society of Pathology and the Institute of Pathology of the Medical University of Graz, BBMRI.at recently organised a research event for children titled Ready For Microscopy – Let’s Look Inside the Human Body. More than 40 children attended the event, trying out a variety of tasks that are usually carried out at pathology departments and biobanks. They were given raspberry juice so they could see what freezing blood in a biobank was like and got to stain real paraffin tissue sections with H&E to then view them under a microscope, among other activities.